Last night I had time for myself. Since the beginning of our relationship my husband told me as every woman before me (rolling eyes) that he needs at least once a week his King sized bed for himself… When I moved here I did not understand this mentality as I would have never thought this way, when I love someone I don’t want to make sure that we sleep a part once a while… But this thought very fast changed after my Awakening. Suddenly it came as a relieve that I could have at least 1 day in the week were I could just meditate, stay awake as long as I wanted and listen to whatever I wanted through headphones. So yeah at that point I really did not care anymore and was glad that I could have my Wednesday night for myself. The moment the beautiful soothing frequency appeared I felt at peace, I totally forgot about the soreness on my head and just let it sooth me further down. I heard crackling noises in the background but this time they did not startle me as usual, because I had the earplugs in so the frequency was louder than the cracking in my room. At some point I suddenly became aware that all sound suddenly dropped and I woke up, stupid enough I did not recognize this as a jump point for an attempt of having an OBE… So I grabbed my phone and saw that the battery was empty… argh… I did not feel like recharging and start all over, so I just turned on my left side and fell asleep right there on the spot. I had a weird dream that threw me inside the Ridley Scott Alien universe. I saw these terrible dark tunnels and I was constantly for the lookout because of these Aliens. I know towards the end of the dream I made someone aware that there are two different kind of Aliens on board. He did not believe me because he was one of the people who designed the creature and he did not know anything about another breed that looked slight different. So I showed him an arm piece of one of those different Aliens and he looked at me in total surprise. I can only assume that this dream once again played the darkness and confrontation that my Higher Self seems to have in dream time. However this time I was not harmed, I saw the Aliens but they seemed not to see me, even though I tried to hide from them. I went inside afterwards and decided to go to bed. It was around 10:30 PM but I was really tired and wanted to get over the first day of my period, which is the most painful… I lay on my back in our guest room right beside the windows. I decided to meditate a little bit and just see if anything would come up memory wise, without giving it too much thought. After some time had passed I suddenly felt a weird heaviness on my head, it almost felt like the head was about to lift off very weird sensation. And in that moment I suddenly for the first time ever heard a very clear clicking on my right ear. I usually hear it from the left ear. But this time it was very clear on the right one and loud as well! The ear that was pointing towards the window. At some point I must have fallen asleep. I made a few more connections. In all the articles and interviews of other abductees there is one common thing happening. All of them felt before the event some kind of synchronicity of sudden numbers repeat to show up. As well as other phenomena such as cats and dogs acting weird before the actual abduction. They can feel and seem them in their etheric form and are acting weird and aggressive. Also abductees experienced a weird phenomena that after an abduction, mostly one day later their house was buzzed by very low flying unmarked black helicopters of military style. Or other black helicopters that would circle the house like crazy. I see tons of 11:11, 2:22, 4:44 and 5:55 lately but also before I got glimpses of what might is happening to me. After effects of abduction were reported by most all experiencers. So it could feel as if they were drugged during the night, getting up without being rested, as if they were not even asleep in the night but full awake. Sleeping longer than usual because of it, or waking up and falling right back asleep until the drugged feeling stopped. Headaches afterwards, strong energies inside body and especially strong electrical interference after abductions! Ear tones before or afterwards and heightened phenomena right after abduction. Many people described that there was a pattern and after writing a log and journals they could find out when the abductions were taking place like 1-3 of a month and 20-23 of a month. Can change but many times it’s on time. Nose bleeds after abductions in the morning or during the day. 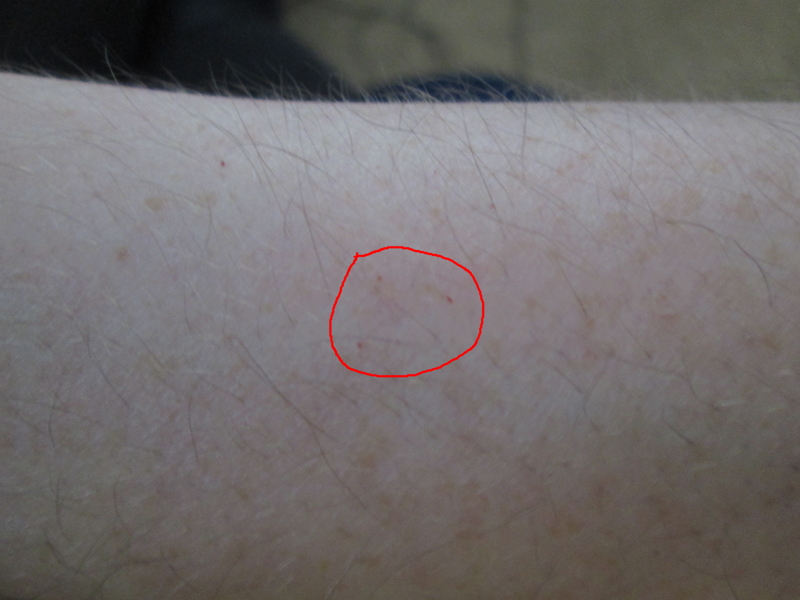 And weird marks on the body such as bruises, scratches, red marks like from a needle that one cannot explain. Nose bleeds are very common for me… When I wake up in some morning I blow my nose it’s like dried up blood clots come out, sometimes during the day one nose hole suddenly starts bleeding. I know that usually after my period ends I have the strongest phenomenon happening, sometimes also before it happens. So for me the pattern goes around the period. Seems whatever is happening it happens strongest after the cycle ends! But knowing all this I have a strong feeling that my experience of Awakening has a lot to do with being with my husband and his encounters. I know he saw something but he completely disregards it as something what it really is not. He was made believe that his encounter was some kind of an implant and it got triggered by something. So he does not even see the connection anymore between everything he experiences. I mean literally he almost seems hypochondriac with all his weird body stuff that is going on currently. And that must have a reason that he himself seems not to see. Something IS happening and I wish I could remember something that completely shows me what it was! It took me a long time but I finally think I do start to recognize that my life was fabricated to play out the exact way it needed to play out for my own growth and evolution as a being! Slowly I get prepared, step by step and I start getting glimpses of all the dreams from childhood on until today, plus experience I’ve had in my life that something much bigger happened to me! I always asked myself “why is it, that I just do not remember anything from my childhood when it comes to a specific time period…?” It has a reason and I slowly put the pieces together and it’s actually frightening to me that I did not recognize this earlier and how much my whole inner being resonates with the simple question “Did I have abduction experiences?” I trust my spirit and usually when something resonates on a deep level my body gets covered by extreme energetic chills and inner shiver and this question alone gives me the shivers all along from spine to head! So now for the understanding how I came to this conclusion! Let us start with my childhood! As I said I do not remember a lot from my childhood, only key elements that all are signs that lead me to the conclusion. When I was like 6 years old, I remember one evening going to bed, turning the light off and lying with my back towards the wall (very weird habit, I could never turn my back towards the room) I looked through the room and across from the bed was a window and on the wall beside the window was this weird looking shadow that I never saw there before! It had the exact shape of a kobold or gremlin kind of and the shape suggested that this shadow held something in his hand! But then the shadow moved and it looked directly towards me! In that moment I was overcome be extreme panic and as I hid my head underneath the blanket I could swear I heard a laughter! From then on I had some weird fears going on that I could never explain. For example I had this plush animal from the movie Gremlins! Everybody knows the huge eyes of these little creatures and every time I would look at my Gizmo plush animal I would feel a weird fear against his eyes and so I turned him around towards the wall so I won’t see his eyes. I remember that I was one evening extremely afraid of my closet (again no recall of what I was afraid of) it was so profound that I actually called my father upstairs to check the closet without finding anything. Another weird fear is the fear of height and the fear to pass a certain area in our garden in Germany whenever it was dark. there was a certain spot in the backyard whenever I passed this spot I was overflown with panic and I ran right straight back to the house! I do remember that I had UFO dreams when I was a kid and I had tons of dreams in which I was flying. So real that I actually believed the next day that I could really fly! Then when I met my first dentist and saw the instruments I got extremely scared and almost kicked her when she tried to touch my face! With 15 I needed to get braces for my teeth and whenever I saw the instruments from the orthodontist I got scared and my neck got covered with red weird looking panic spots. Even my mother saw them! Then came the time when my mother suddenly had a panic attack because out of nowhere her heart began to race which brought her in an extreme state of fear, her limps cramped and she needed to go to the hospital. One evening later I was lying in bed and reading a comic as I suddenly started feeling my heart beating faster as normal. I got scared and panicked. I ran into my parents bedroom and she calmed me down, i did not need to go to the hospital I somehow got over it! But from that evening on I was literally scared to death whenever the night came close, because as soon I lay down I was overwhelmed with an almost suffocating feeling in my chest and the feeling of my heart starting to race again. Whenever this happened I suddenly had compulsions to swallow like crazy, sometimes even not able to swallow at all, making problems with my breathing and I needed to get out of the bed and walk around the room to get over the feeling. And this would continue day in and day out. Sometimes it would happen during the day, but mostly right when I lay down. Someday it suddenly stopped and I found my usual sleep again. I almost forgot about it, until it happened again when I started having my Awakening in August 2014. 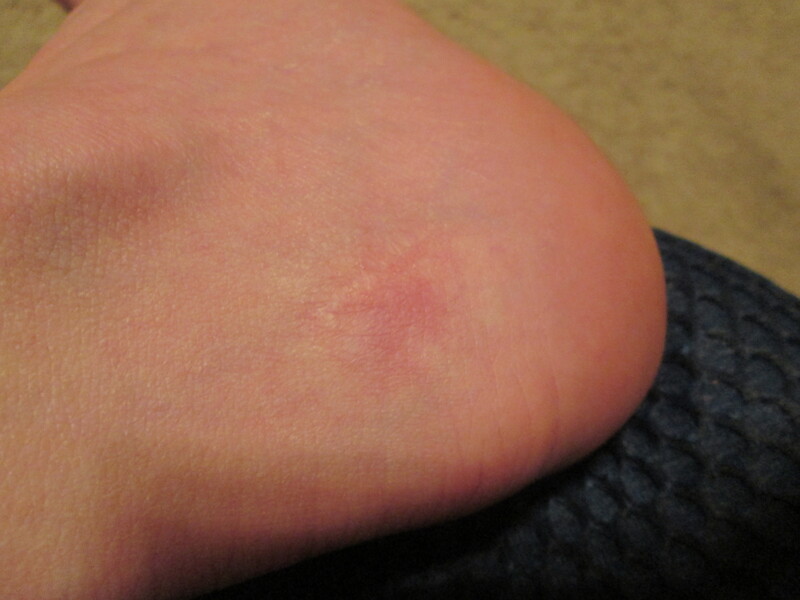 January 2012 I moved to Los Angeles from Germany and I was living here until August 2012. when my father out of the sudden died with just 51 years of age I discovered a weird bump on my right foot heel. Towards the outside of my right foot. I don’t know if I have photos left, if so probably in Germany! This bump seemingly appeared out of nowhere. I mean okay I do not look everyday at my feet but that it suddenly got into my awareness was weird. The bump was not like bone structure, it was a bump that was underneath the skin and when touched could be moved around! I got scared and thought it may be a cancer! However I also somehow had the weird idea it could be an implant! interestingly enough this thing appeared a few days before I would fly back to Germany to take care of my fathers stuff that he left behind him after passing away. In Germany I then went to a doctor for a scan of my foot and he said that it looks not like something foreign, it looked almost organic. probably a Ganglion. he said it’s nothing bad but if I want I can let them remove it! So I decided to let them take it out! Of course after the surgery I asked them what it was and their answer was “It was just a tissue that came out of the joint structure, so to speak an organic Ganglion” Something however was off there it did not feel to be he truth. I left it at that. However since then and since my Awakening this wound sometimes does hurt, or how should I explain, it pulses like electric impulses and then it starts pressuring. As a reminder of what was once there. I feel strong energies running through my body, vibrations, electrical buzzing, sudden electronic jolts inside both ears, which sometimes cringes me because it feels weird. Sudden light flashes behind closed eyes, flashing vision and light orbs that come into my visual field. And then In counted everything together, I always have been interested in UFOs and ETs, and since my Awakening my inner being reacts with extreme truth chills whenever I hear, read or see subjects about UFOs and ETs, it’s so strong that it actually is quite startling to me! As if something wants me to remember. Again I am not saying this is really what happened, but so far all the signs and experiences lead to this conclusion and I believe it is still going on! Just after my Awakening one night I was falling asleep as I suddenly feel my body jerking up and I fight to grasp for air. As I managed to open my eyes the whole room I was lying in was glowing red!!! I mean it was not an imagination, I looked into a room that was NOT dark, but glowing with a red hue! Once I recognized what happened the red glow would fade away and the room suddenly went dark, extremely dark! Many times I have this extremely strong feeling inside my chest which reminds me of that terrible time in my childhood and I recognize this is exactly what I have been repressed all my life, I wished for contact and meeting them and I probbaly already have, but I forgot!